Whether you’re a first-time camp family or a seasoned camp veteran, we are excited to welcome you to what will be a fantastic summer experience! The benefits of summer camp and the CCS experience are outstanding! Spend their day being physically active: Participating in dancing, swimming, running, hiking, climbing and playing games! Experience success: CCS encourages all campers to try many new activities, set goals and cheer each other on! 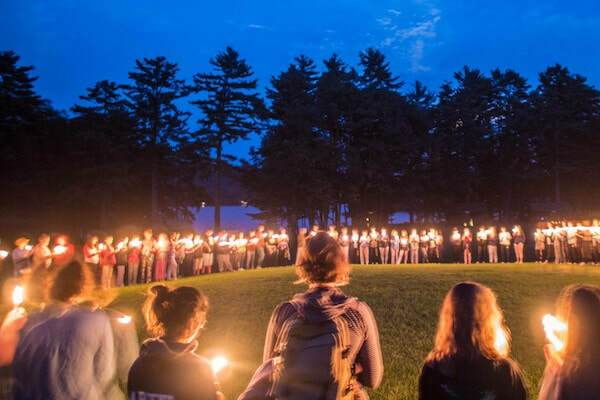 Interact with positive role models: CCS provides constant interaction with counselors and our leadership team, all of whom enrich campers’ lives. Unplug from technology: Need we say more? At CCS everyone is encouraged and celebrated for their creative powers! Grow more independent: Camp encourages campers to make decisions for themselves. They get to manage daily choices in a safe, caring environment, and this freedom allows campers to blossom in many directions. Develop life-long skills: CCS provides trained instruction with equipment and facilities that allow campers to explore a variety of activities and options. Campers get to discover more about themselves and what brings them joy! Reconnect with nature: Maple Lane is a wonderful antidote to “nature deficit disorder” and the narrow experience of modern indoor life. Learn social skills: Attending camp means joining a close-knit community where everyone has to agree to cooperate and respect each other. Living in a cabin with others, campers share chores, resolve disagreements and see firsthand the importance of sincere communication. Make true, life-long friends: Camp is where the very best of friends are made. Free form the social expectations of school, camp encourages and allows youngsters to be their authentic selves and make friends easily. All the fun at CCS draws everyone together – singing, dancing, laughing, talking, playing and sharing chores. We can’t wait to welcome your family to camp. See you soon! A place where everyone can share in your dreams! At Camp CenterStage the health and safety of your camper is our number one priority. We have a modern, well-equipped Health Center staffed by our resident nurse, and a EMT and/or Certified Wilderness First Responder (depending on session and needs). 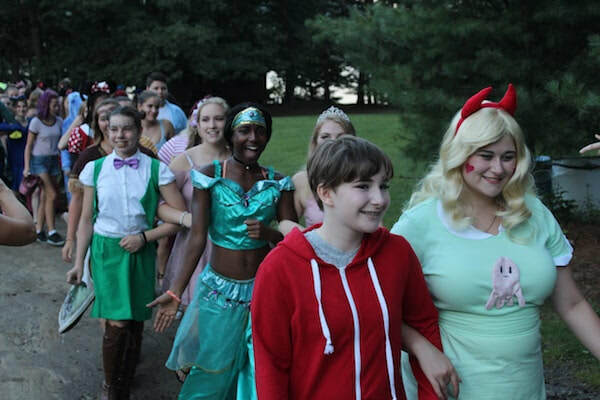 CCS is an inclusive camp and we make every effort to accommodate campers with dietary or medical needs. We invite you to contact us to speak more about your camper's specific needs, and how we can make Camp CenterStage the best experience of their life! At Camp CenterStage we believe healthy eating and family style meal time enhance every camper’s experience. Campers, counselors and guests all tell us that our food is excellent and our meal time is enjoyable and fun. We believe that meal time is not only a time to recharge your body but recharge your mind too by having conversations and “check-in” time around the table. Every meal table at CCS is hosted by a staff member. Meals are nutritious and prepared in our on-site, modern kitchen. CCS’s homemade dinners are served family style while breakfasts and lunches are buffet style. Each meal provides several options to our campers and staff, and sometimes our campers even get to help in the preparation of special dinners. At CCS we believe in meals that are made with fresh, locally-sourced ingredients from Maine and throughout New England. We provide vegetarian and Gluten Free options at every meal. Please indicate your camper’s dietary needs when registering. In the morning we offer a breakfast bar filled with fresh fruit, yogurt, granola, raisins and more. Complimenting our breakfast bar, campers may find hot or cold cereals, and a hot meal is served every morning. Hot meals vary daily, and could include waffles, blueberry pancakes, scrambled eggs, omelets, bacon, sausage, and vegetarian options. For lunch and dinner we continue to offer options at our salad / fruit bar with lots of healthy and yummy options. Hot entrees such as baked chicken and rice, macaroni and cheese, meat and veggie lasagna, make-your-own tacos, shoyu chicken, pizza and more, are served buffet style at lunch and family style at dinner. Food "theme nights" happen through the CCS experience, as do cookouts, when we eat outside on our patio surrounded by maple, birch and spruce trees. Every Sunday is Thanksgiving at CCS, where we celebrate all we are thankful for, and are treated to a traditional turkey dinner with all the fixings (including vegetarian options). Many evening meals end with ice cream sundaes, homemade cookies, or pies and there are many opportunities for s’mores around a campfire!! Campers’ birthdays are celebrated in style with a personalized birthday cake large enough to share with the entire cabin (and a few staff members!) and, of course, lots of singing! We love celebrating birthdays at camp and CCS encourages parents to call during mealtime to send along birthday wishes. Information on Visiting CCS coming soon!! Click the button below for a sample of a CCS Packing List. This will help you decide what to bring to camp and what to leave at home. Our time at camp is brief and we encourage staff and campers to play games, tell stories, sing songs and share daily accomplishments and goals for the future. Please leave electronic games, computers, etc. at home. If these items are brought to camp they will be safely stored in our office and returned when on the last day of camp. Cell phones may be used on Airplane Mode only. Campers are encouraged to bring music books to camp. Write your name and phone number on all music. In addition, if you are a musical theater enthusiast – bring an empty three-ring binder in which you can collect all the music that is used at camp. 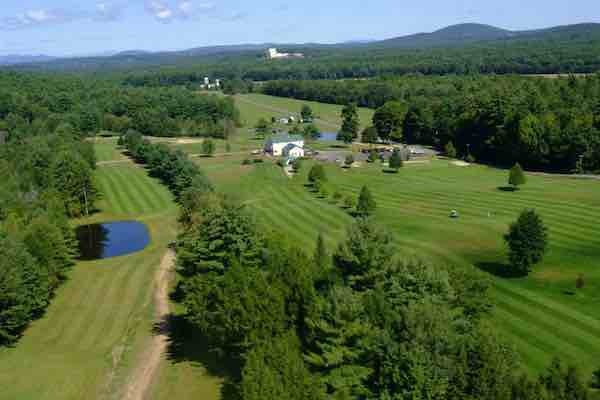 ​Maple Lane is a lush 60+ acre campus located in central Maine, surrounded by farmland, farms, and quaint New England towns - as well as the Androscoggin River. 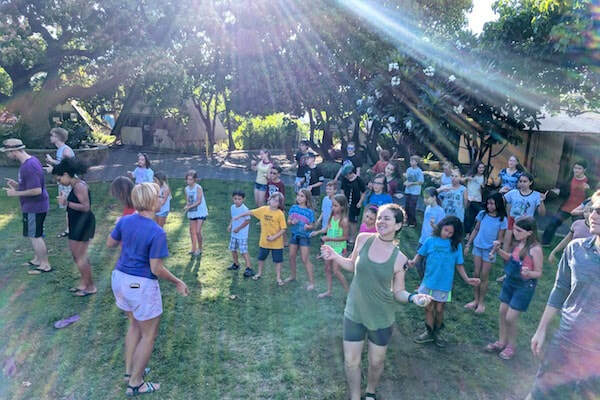 Maple Lane is a true oasis where campers and staff can find their best selves, belong to an inclusive community and develop a deeper love for nature and the arts - all while discovering and exploring their own passions. CCS at Maple Lane boasts a contemporary dining hall (Nelson Hall) with fireplace, the Radio City Music Hall dance studio, a brand new health center, class & studio cabins, and an "art shack". Boys’ and Girls’ lavatories (waysides) are being built in the spring of 2019. Each Wayside has private toilet stalls and private shower stalls. Each 10-person cabin is named after a world famous theater. They contain space for individual storage, and plenty of space to create a homey, family living atmosphere. Cabins have electricity with four outlets (one on each wall), lots of windows and a ceiling fan. Maple Lane is the home to lots of wide open, plush green spaces (previously a golf course), as well as wooded areas for exploring and hiking. 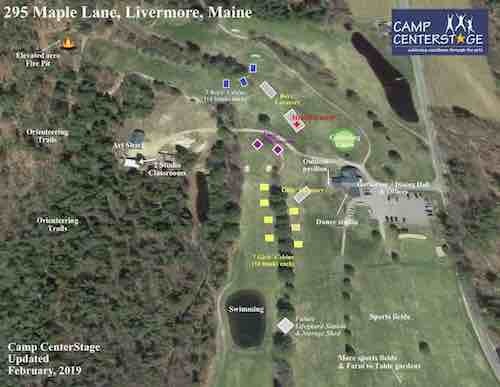 There are several fire pits and outdoor gathering places and our yet-to-be-named opening and closing "Campfire Hill" (to be named this summer by our campers). ​We've compiled answers to commonly asked questions in our CCS Parent Handbook/FAQs document. Please click the link below to view it!